Do you ever feel a yearning to explore the woods at dusk? Or a desire to see the sunrise peeping through the trees? If you live anywhere near nature or enjoy taking vacations to spend time in nature, you know how lovely it can be, but also how the temperature fluctuates, how many bugs there are at certain times of the year, and just how many thorns can find your sensitive skin. 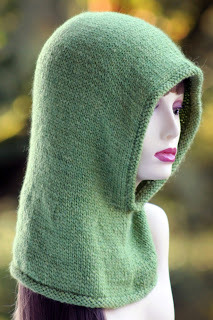 That’s why I love clothing items like this hooded cowl – it provides protection, can be removed easily, and allows one to daydream about being an elf or dwarf exploring uncharted territory. It’s a great item to have if you’re a re-enactor or a cosplayer, as it would complement a wide range of characters (depending on the color and styling of course). If you’re looking for a simple knitted pattern, then Balls To The Wall Knits has the perfect one available for free on their website. 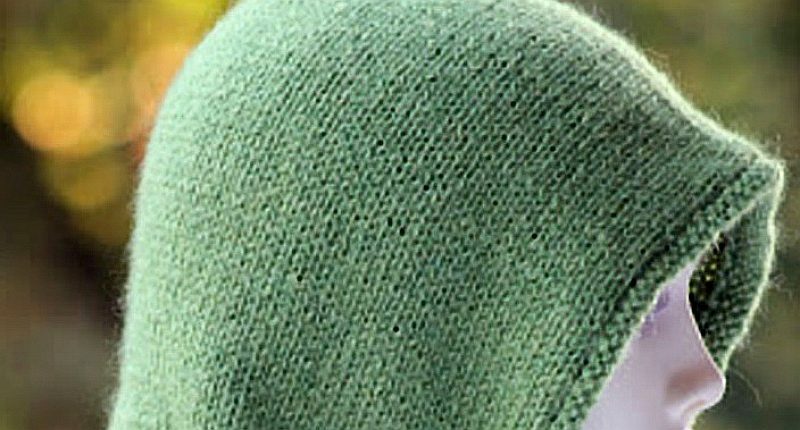 To make your own knitted hooded cowl, you’ll need to gather the following supplies: One 16″ size 9 circular knitting needle, a set of 9 double pointed needles, a tapestry needle, scissors, a stitch marker or two, and three skeins of yarn. The pattern, which comes in sizes Small, Medium, and Large, recommends using an alpaca mix such as Lana Grossa Alta Moda. You can use about any worsted weight yarn, however. Just be sure that you have enough — though it takes just about two skeins depending on size, you don’t want to run out of yarn for the last few rows. Buy three just to be safe and maybe add some edging if you’re feeling fancy. You can also use buttons and ribbon to dress up your hood if you like. Be sure and check your gauge beforehand, because the last thing you want is an accidental facelift when trying to squeeze the cowl around your face, or to have a hood that’s far too big and makes you look like you’re on the way to the executioner. 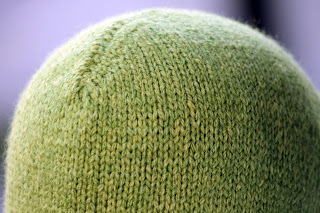 To check your gauge, knit 18 stitches using the stockinette stitch and then measure it. It should be around four inches. Whether you’re making a hood for cosplay purposes or to take along on your next camping trip, the end result is stylish, comfortable, and just a little mysterious. Earth tones work well, but don’t be afraid to mix it up and go for a brighter color, like the yellow used for the hooded cloak in The Village. 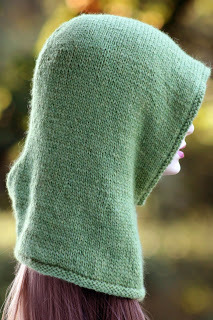 Want to make this Friend Of The Forest Knitted Hooded Cowl? You can find all three pattern sizes (all free) with pictures and a materials list on the Balls To The Walls Knits website.